With the new FX60HRO we've packaged all of the most important features you could want into a motorized treadmill, including wireless heart rate control, hand grip pulse monitor, Motion Control , and, for reduced impact on joints, Swing Arm" shock absorption cushioning combined with an ultra soft, whisper weave orthopedic belt. The FX60HRO has the largest motor and running surface of any treadmill in its class. ToughTrain 4 out of 5 Can be a descent buy at this range but the ortho belt, which is twice as thick on a machine is a matter of concern. TreadmillDoctor.com 6.91 out of 10 The ortho belt is our biggest complaint about this model. We know ortho belts sell and EVO is using the best ortho belt we have seen but we still aren’t big fans of putting a belt that is twice as thick on a machine so it can hold in twice the heat and make the drive system push twice the belt weight around. *Note: Most of the sites, stores or shopping portals listed above sell EVO FX60 HRO Treadmill with discounts and other exciting offers. 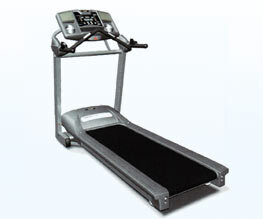 There is a possibility that the some of above websites are not selling EVO FX60 HRO Treadmill now. Toughtrain.com is not liable for such cases or instances. Also we do not recommend any seller for EVO FX60 HRO Treadmill and a buyer should buy from where he/she gets best deal with quality of products, service and on time delivery (shipment). Please do you stock EVO FX60HR0 Power Treadmill accessories? We need the belt, please. I’m case you don’t, be so kind to link us with the part dealers.